Higher minimum support price (MSP) will increase the availability of pulses and help contain food inflation, Finance Ministry said on Thursday. "Increase in MSP of pulses by govt showing results. Acreage and production expected to be higher. Should help in containing food inflation," Economic Affairs Secretary Shaktikanta Das tweeted. Government last month sharply hiked MSP of pulses by up to Rs 425 per quintal for this year to boost output and check price rise. The MSP is the rate at which the government buys the grain from farmers. The price of pulses, which have touched Rs 200/kg, has been a major factor contributing to rising wholesale and retail inflation. While WPI inflation rose to 0.79 per cent in May -- the fastest pace since October 2014, consumer prices (retail inflation) surged 5.76 per cent in May, the fastest rate in 21 months. 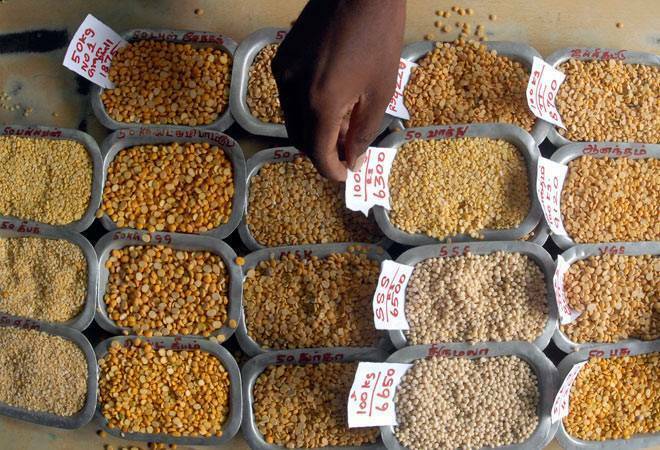 Pulses inflation has remained in double digits since January 2015 and stood at 35.56 per cent in May.